75 years ago today, on Tuesday, February 4, 1936 comedian David Brenner was born in Philadelphia. After a first career as a writer and producer of TV documentaries, and already in his 30s, Brenner left his job and gave himself one year to make it as a standup comedian. Just as that year was coming to a close David Brenner made an appearance on “The Tonight Show Starring Johnny Carson” in 1971. From that day on he has had a career in comedy and he gives “The Tonight Show” all the credit. In fact, according to Brenner, he appeared on Johnny Carson’s “Tonight Show” 158 times, which Brenner says is the record for most appearances by any guest on the show. He also guest-hosted for Johnny more than 50 times. 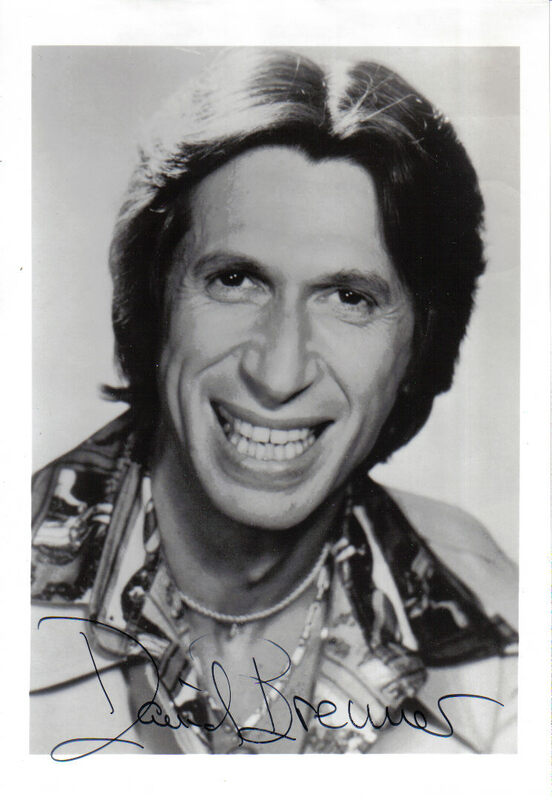 Publicity photo for David Brenner in “Snip,” an NBC sitcom that never made it to the air. Although Brenner made hundreds, perhaps thousands, of appearances on TV in the 1970s he has only had his own program once… almost twice. The photo above was from a David Brenner sitcom that was never broadcast. “Snip,” produced by James Komack, was on NBC’s fall schedule and set to premiere in September 1976, but it was abruptly canceled before a single episode aired. 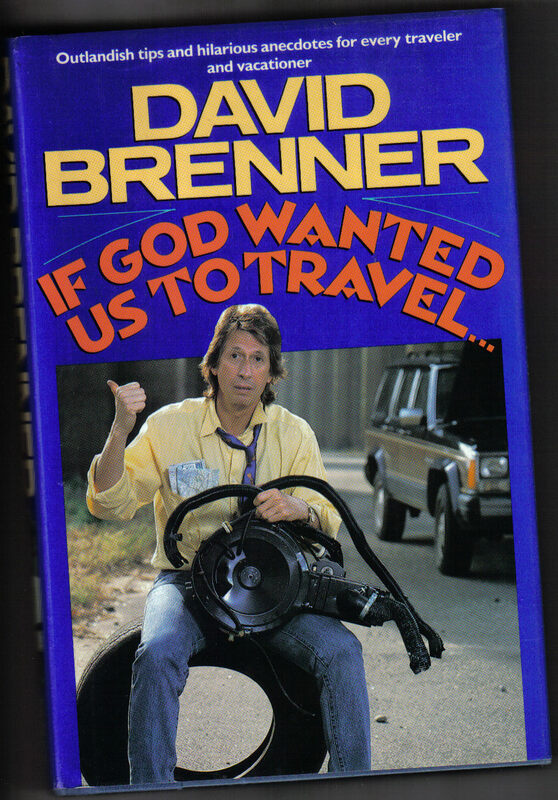 David Brenner finally starred in his own program from September 1986 to May 1987, when he hosted a late night syndicated talk show. “Nightlife” was a 30-minute program with Billy Preston as musical director, but it could not find a niche and lasted just eight months. 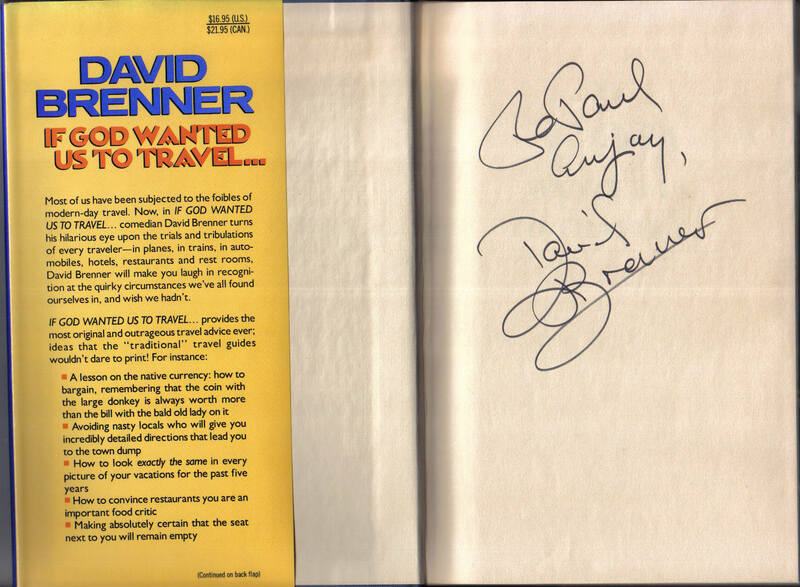 David Brenner’s autograph inside If God Wanted us to Travel signed in 1990. Brenner stopped touring for many years due to a custody battle involving his oldest son, but he is now back on the road. Happy 75th David… I wish you many more. You made the 1970s a laugh riot for me and my friends.